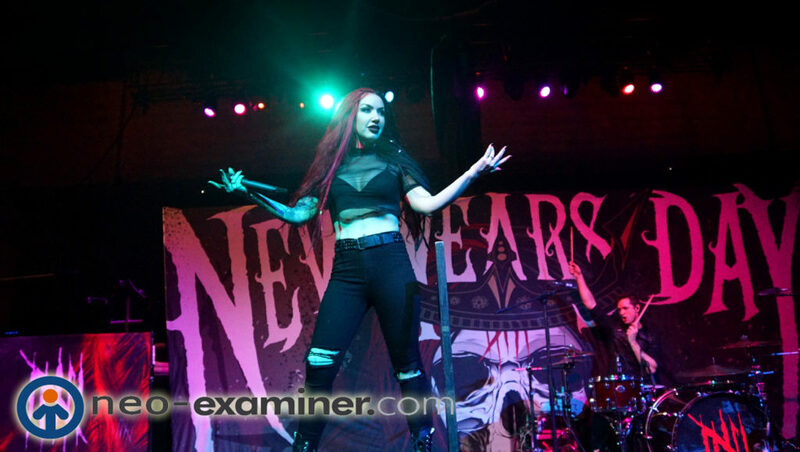 Live Review-New Years Day Delights Cleveland Audience ! 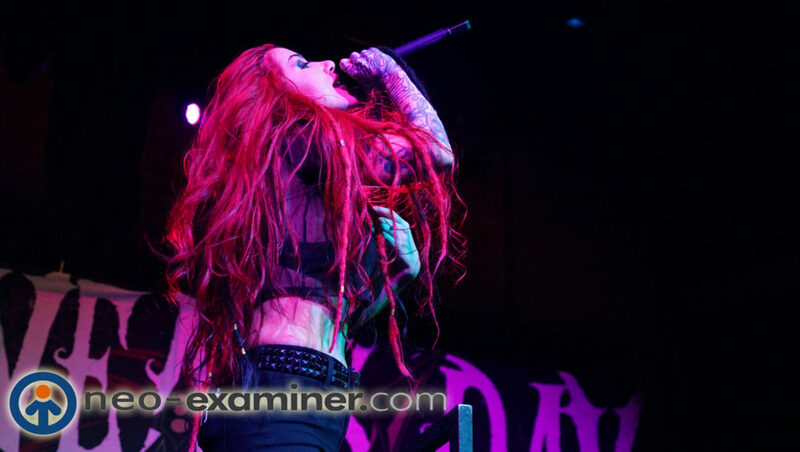 One of the best female fronted bands on the planet ! 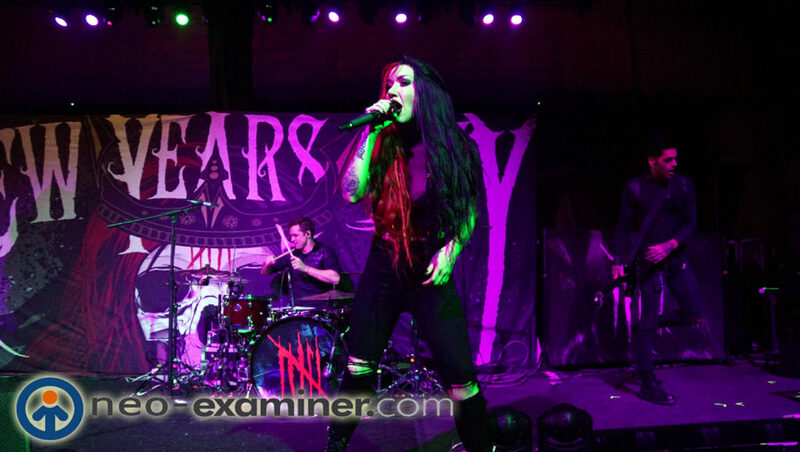 Cleveland, Ohio – The historic and newly reopened Cleveland Masonic Hall played host to a who’s who of female fronted bands earlier this week . Halestorm, In This Moment and New Years Day filled the venue to capacity. The weather may have brought snow and frigid temperatures but the feeling inside was hot and electric and you could sense it in the air . 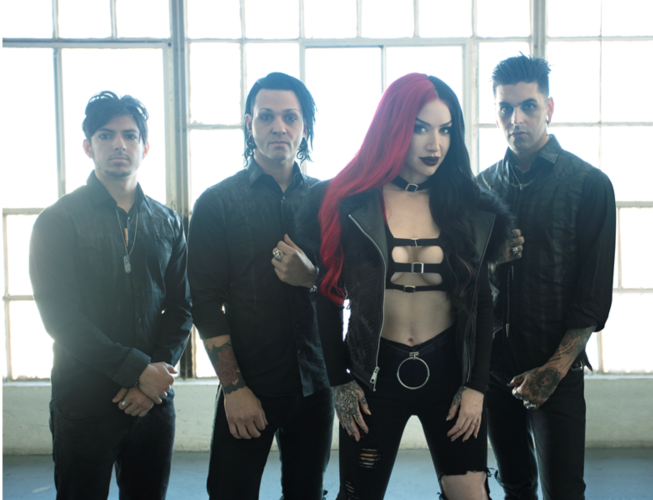 New Years Day are no overnight success story . I have seen them several times in the last decade or so. The first time was as one of the opening bands on Warped Tour but I knew the moment I saw how they handled the crowd, much bigger things were on the horizon for this young band. Like any band they go thru their changes both in musical style and personal . One thing for sure is that this is the best line up I have ever seen . 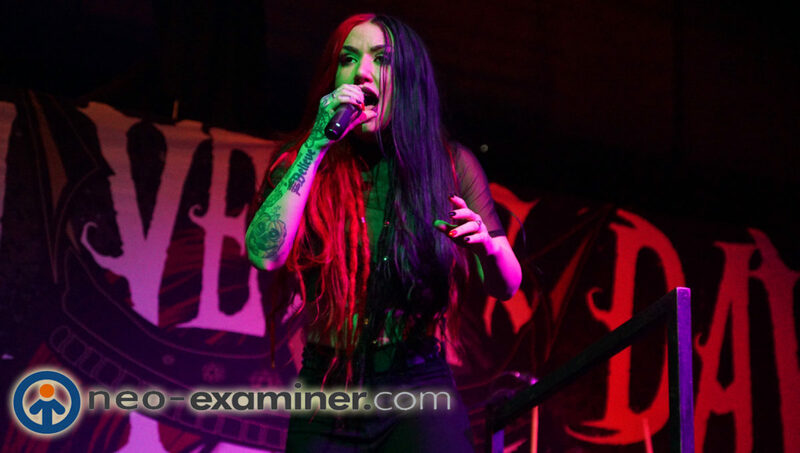 The singer Ashley Costello commands the stage like a general over looking her troops and the duel guitars act as machine guns piercing the landscape with sonic terror. The drums and bass act like giant tanks shaking the earth. This was metal at its best . The band paged homage to the past with a great version of ” F*cking Hostile ” from Pantera along with their own tracks which included ” Kill Or Be Killed “Epidemic and a few others . 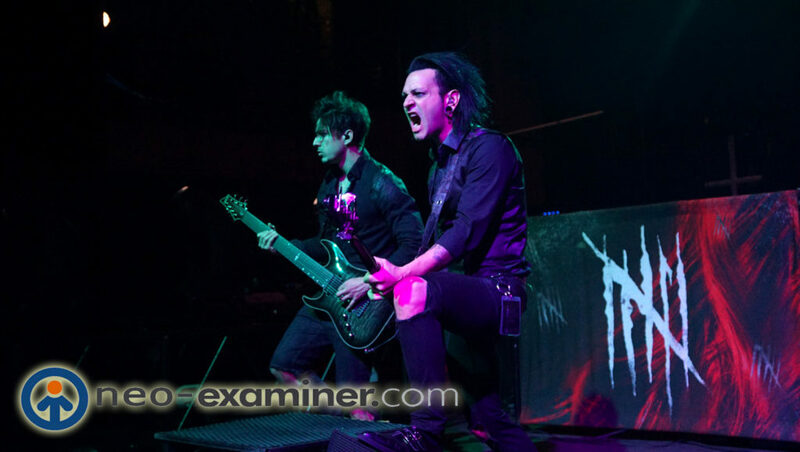 Most notably they played the song ” Skeletons” from their upcoming release . This is a band to watch because when they start headlining arenas you can say I saw them back when . As a side note I said the same thing about Metallica and Nirvana so I an tell when a band is going to break .